Spirit Mountain is the earthly origin of this tribe whose reservation spans land in Arizona and Nevada. The present boundaries, which stretch along the banks of the Colorado River, cover 23,699 acres in Arizona and 5,582 acres in Nevada. The reservation is home to 1,120 people. Agriculture provides the basis for the Fort Mojave economy and 15,000 acres of land are under cultivation. Crops grown include staples like cotton, alfalfa and wheat. Living along the banks of the Colorado River, the Mojave Indians are the Pipa Aha Macav – The People by the River. Although Spirit Mountain is located northwest of the present reservation, it was once part of the tribe’s ancestral lands. According to their teachings, the Colorado River was created by Mutavilya, the Mojave spirit who placed the plants and animals and instructed Pipa Aha Macav in the arts of civilization. Prosperous farmers, when the Spaniards encountered them, the Mojaves had established villages. They also had developed trade routes that stretched to the Pacific Ocean. One hundred years later, as the American frontier was opened, the Pipe Aha Macav resisted the military wagon trains and American migrants who crossed the Colorado River on the California Trail. They defended their rugged homeland, the Basin and Range southern deserts. The intruders responded by establishing Fort Mojave as a military outpost in 1859, locating it on the east bank of the Colorado River. Today ruins of the fort and old boarding school, which was built sometime later, are visible. They have not been restored because a new town for 40,000 residents is planned for the site. Recreational opportunities, affordable housing and desert scenery and climate make the Mojave Valley a center for tourists and retirees. The major attraction is the Colorado River which flows for 17 miles through the Reservation Tamed by Davis Dam above Laughlin, it presents no threat of flooding and runs narrow and deep between channeled banks from the dam to below Needles, California. Along the way, the river supports a plethora of water-based activities such as fishing, water skiing, jetboarding and water sports. East of the Reservation, the Black Mountain Range provides more outdoor opportunities including off-roading, hiking, photography, rock hounding and exploring ghost towns. Hunters enjoy the big horn sheep, mule deer, quail and dove which live in the nearby mountains. 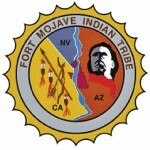 In 1988 the Fort Mojave Tribe signed an inter-governmental agreement with the state of Nevada placing tribal gaming activities under regulation of the Nevada State Gaming Commission. A 250,000 square foot facility, Avi, opened February 17, 1995. In 1998 an 18 hole champship golf course was completed along with a 300 space RV park plus hotel and restaurants. Strategically situated, it competes for Laughlin’s visitors with resort casinos featuring family-oriented entertainment. A gaming compact with the state of Arizona resulted in the Spirit Mountain Casino, an 8,000 square foot casino in Mohave Valley. It has 125 slot machines and a small bar and grill. Across the river, in Nevada, the tribe owns and operates a 325 room hotel and casino featuring 125,000 square feet of gaming and entertainment. It employs 645 employees, 500 of whom are non-Indian. The majority of these employees live in Arizona.